Barbadian superstar Rihanna at Grand Kadooment 2017. 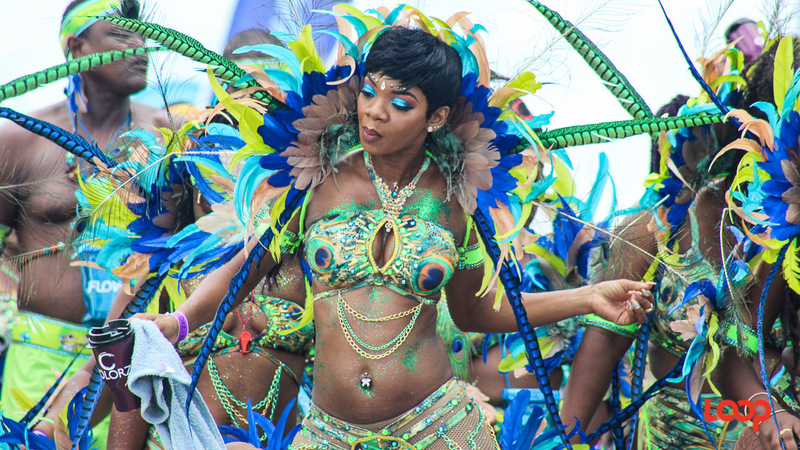 The sweetest summer festival has been known to attract personalities from around the world, who want to soak up pulsating soca tunes, forget about their stresses and have a good time. This was true for Crop Over 2017, as international sports stars, billionaire heiresses, fashion models, among others joined Barbadian superstar Rihanna on the road Monday. 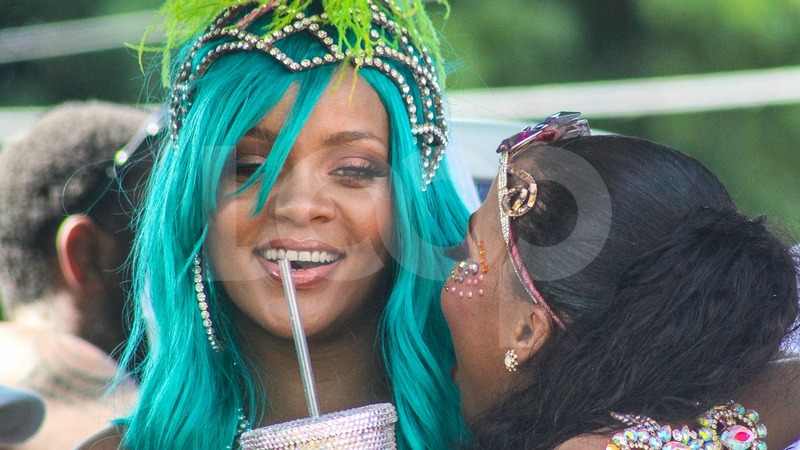 Speaking of RiRi, she was no doubt an eye-catcher at this year's festival. Adorned in a sparkly ensemble with turquoise, green, and pink feathers, her costume caught the eye of the media all over the world, including Vogue Magazine which spoke to its designer from the Aura Experience band, Lauren Austin. 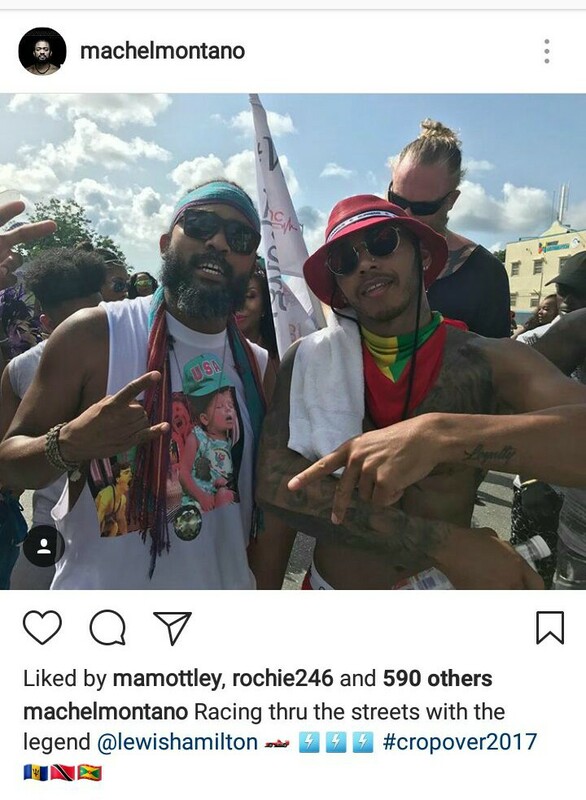 Rihanna's partner on the road during Grand Kadooment 2015, Formula One racer Lewis Hamilton, was also back for Crop Over this year. Before taking to the streets this time around, he was spotted having a fun day at the beach and at the 1Love Concert at the Concorde Experience. He and headliner at that concert, Machel Montano, were among those enjoying Kadooment Day. Also present for this year's celebrations was the man whose jaw-dropping mugshot did not only have women all over the world wanting to frame the photo of his mesmerising eyes on their walls, but took him from the prison walls to the catwalk. Jeremy Meeks - who continues to be better known on social media as #prisonbae - has not just been taking in the Crop Over festival after jumping with Krave the Band on Monday. He continues to be seen around the island stroking his stuff on the beaches' runway. Speaking of Meeks, 26-year-old billionaire heiress Chloe Green was right by his side throughout the trip. The socialite who was on Season 3 of the UK reality show 'Made in Chelsea,' is the daughter of businessman Sir Philip Green. The two who have been very open about their romance in recent weeks, have been proudly exploring the island and were spotted together on Monday. These were just some of the personalities from around the world, region and Barbados we saw at Grand Kadooment 2017. Take a look at the gallery to see who else we spotted.